Under-fire coach Gennaro Gattuso has restored AC Milan's soul and dignity, according to club great Arrigo Sacchi. 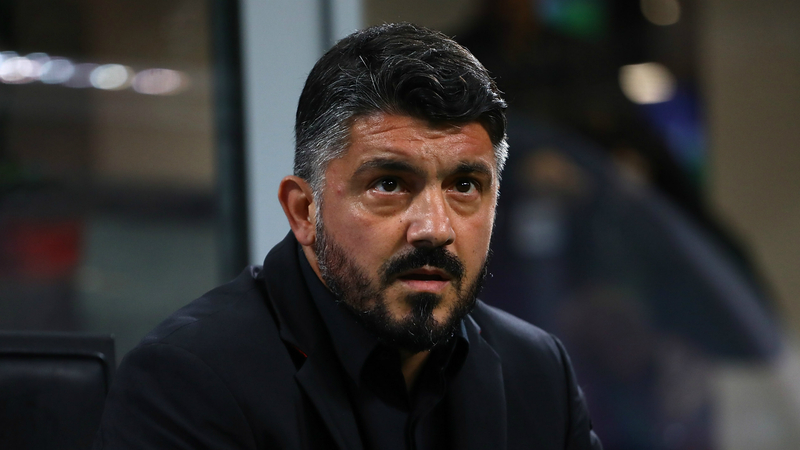 Gattuso turned the Rossoneri's fortunes around last season, earning qualification for the Europa League, but he endured a tough start this time around and has found his future repeatedly brought into question. An improved run has propelled Milan into Serie A's top four, though, and Sacchi - who coached the club to two European Cup triumphs - believes Gattuso deserves great credit. "Rino is a phenomenon - he has given Milan back their soul," Sacchi told La Gazzetta dello Sport. "He also makes his team play good and positive football. The only elements his side lacks are a bit of pace and more pressing. "It's good that these players never give in and keep winning games at the last second. Rino is someone who would give his life for football and for his players. "Gattuso has restored dignity to a team that had lost it. He has made the players understand what it means to play for Milan." It's time for the final showdown: @jksheva7 vs @MrAncelotti! Cast your vote now! Milan face Juventus on Sunday, but Sacchi says his former club must not fear the champions. He added: "Injuries are tearing Milan apart, but the team has to look Juve in the eye and show no fear. "I don't think they should go and press right from the front, but they should not sit back and defend either. They have to play a balanced encounter, just like Gattuso's men are capable of."